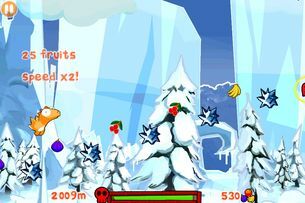 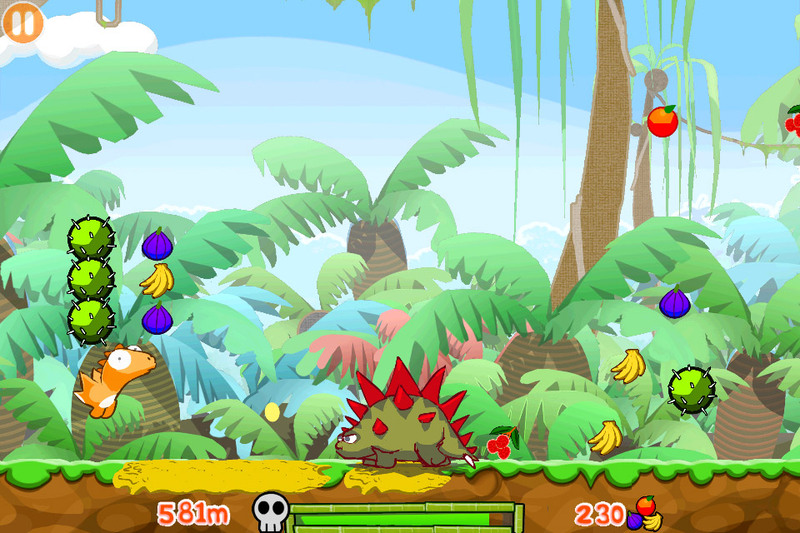 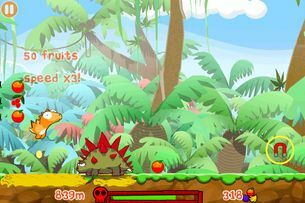 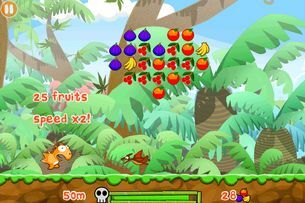 DINO RUSH is an endless 'Run n' Jump' platform game where you play a small dino who needs to eat all the fruit he can to stay alive. 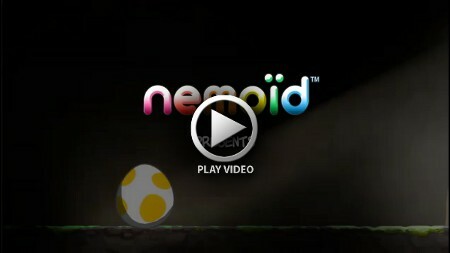 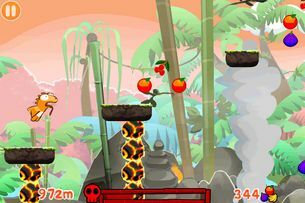 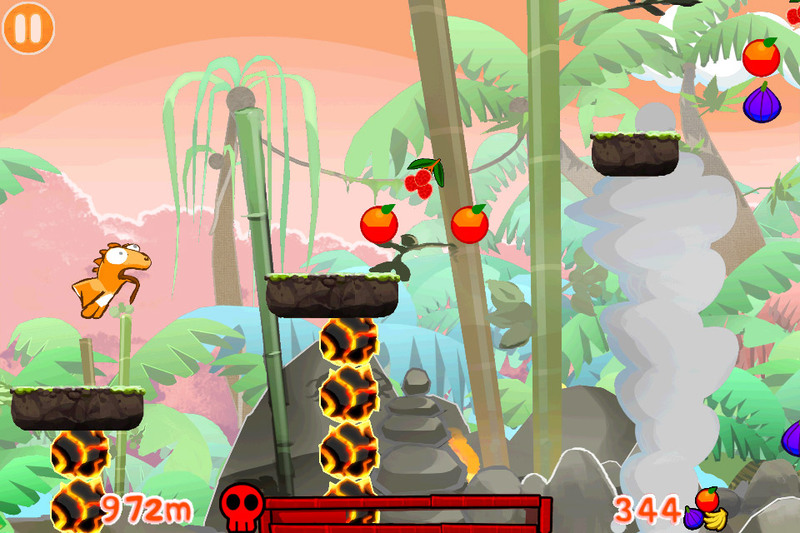 Jump over obstacles, predators, or even melting lava, and grab all the bonuses you find to get as far as you can in the game. 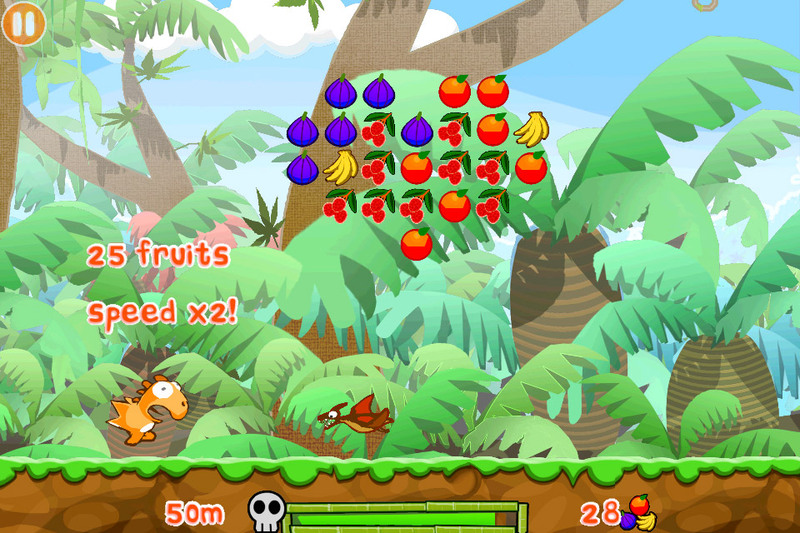 But remember, keep eating dem' fruits or Dundy will starve!